Special Events? 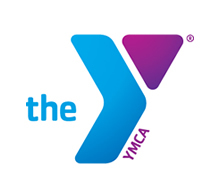 Everything is special at the Y, but these events are designed to bring families or special interest groups together in a safe, welcoming environment. Click here to see a full list of our 2019 special events. More information on these events can be found by clicking on the event in the left margin. Check our website often for updates to all events, programs, membership, fundraising and more! You can also find us on - search for Marshfield Clinic Health System YMCA - "LIKE" us and you'll get up-to-date information right to you, when you want it. Click on the Facebook icon on this page, and you'll go directly there. Stay connected!